Our Ritazza cafes provide a haven for those seeking a great coffee and a place to escape the hustle and bustle of life on the go. Our quality barista made coffee and freshly made food is served up with friendly, speedy service. At Ritazza we specialise in serving excellent artisan style coffee. 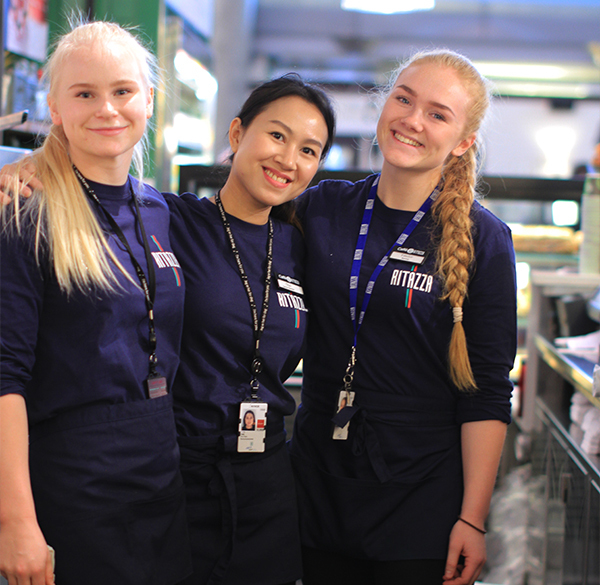 Regardless of where in the world you are, at Ritazza you can be sure to receive a great cup of coffee passionately created by our baristas and to the same high standards. We are proud to serve Buonissimo, our bespoke blend from Segafredo, Italy's favourite coffee. Inspired by Italian food culture, our snacks, sweet treats and sandwiches are designed to perfectly complement our broad selection of drinks so that whether you are in search of a quick cappuccino on the run or somewhere to sit, refresh and rejuvenate for a couple of hours, we have it covered. 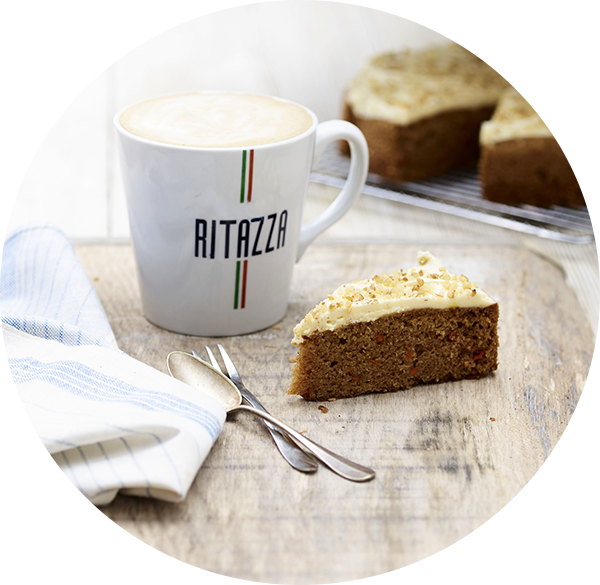 Our bespoke Buonissimo blend from Segafredo is the perfect choice for Ritazza. Full of authentic Italian espresso character with chocolate notes and rich crema. Our menu is freshly prepared using locally sourced ingredients that showcase Italian classics and crowd-pleasing combinations. Most of our Ritazzas also offer a carefully curated selection of wine, beer and spirits chosen to complement the food menu. Freshly baked pastries and sweet treats - Ritazza has something to please every customer at anytime of the day. We are justly proud of our own coffee but more than anything else, the dedication, talent and skill of our baristas to ensure that whether it’s a straight espresso or a Flat White, you can be sure of uncompromising taste. If you’ve visited us recently, tell us about your experience here. For all other queries give us a call on 0207 529 8369. Lines open Monday to Friday, 9:00-17:00. To find out more about our franchise opportunities, please click here. If you share our passion for artisan style coffee, join our team.